Crafting brings such joy and relaxation in our lives. But you’d want to shout “YES!” when you create something so pretty with lo budget. Here, I collected 10 Cricut & Cameo Silhouette project inspirations with products from Dollar Tree. The clipboard is from dollar tree, and Crafts By Courtney have the specific instruction on how to color them and turn the nob into pretty gold. Check her article for details instruction! What a nice and cute idea to contribute to your school. Just make sure not to make profit of any kind, when you use copy righted designs! Thank you Ynette Moorhead for sharing this amazing work. Beautiful gold monogram with white tulle accent make this project looks very sophisticated and expensive. And who doesn’t like having anything personalized? So much style, so much love. Thank you Susan Source Manfet for sharing this beautiful creation! Another amazing give-away ideas for you, ladies! 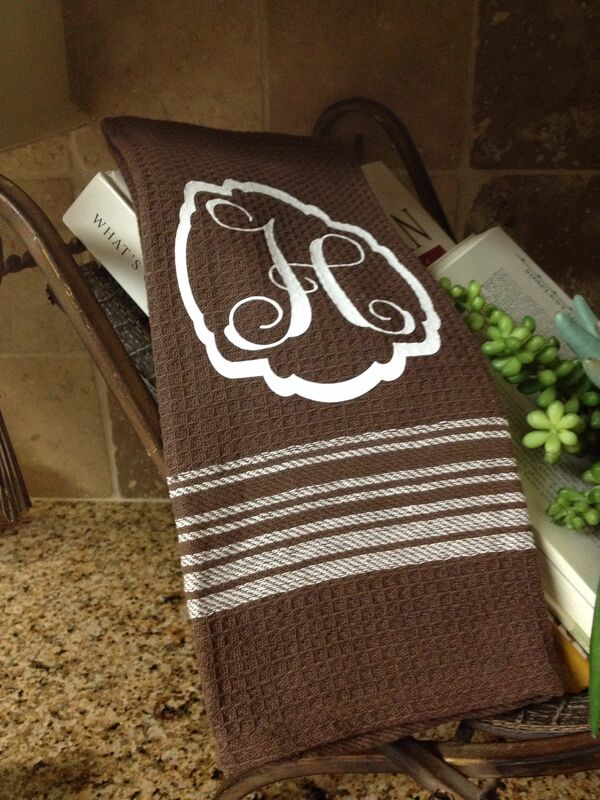 Your mom friends and any family members will always appreciate an extra kitchen towel, ESPECIALLY when it is decorated with their initials. Don’t like rainy days? Well here it is the perfect way to cheer up your friends and family! I’m sure they will look forward to go for a walking in the rain. Thank you Sharon Hammond for sharing this unique idea! Look how cute they are!! Grab a stuffed animal from Dollar Tree, cut out HTV and Ta-da! These would be perfect for upcoming Valentine’s Day’s give away- let them hold a bag of candy and you will win the best giveaway award 🙂 Thank you for sharing this image Sharon Hammond, such an amazing idea. Now, I have to run in the store and get these for myself. Such a cute and cleaver idea, and you can do so much stuff with this! You can personalize them with monogram, decorate with favorite quote, label with stylish font or put cute graphic design on them- ideas are just limitless. This is the only project that is not fro Dollar Tree. This frame is from Target’s $1 section- I know, the section where you can spend hours. Next time you are at Target try look for these frames and seasonal deals that they have. 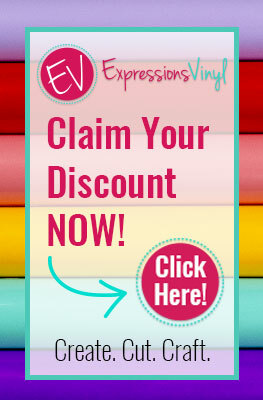 They are so adorable, well designed and perfect for Cricut & Cameo Silhouette DIY projects! Thank you Mandy Sullivan for sharing this project and Target $1 section inspiration! Thank you Paula for sharing this beautiful creation with us!